Process models can be an excellent way of concisely communicating information about how work ‘flows’ through an organization. Yet if there is not a common understanding of the notation, then misunderstanding and misinterpretation can occur. 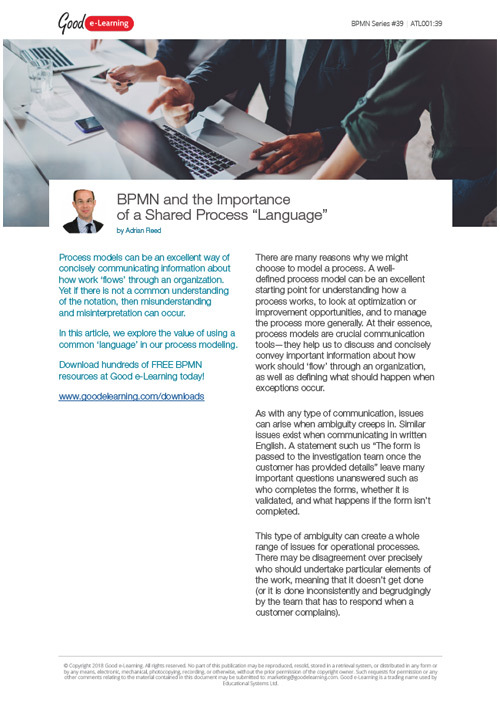 In this article, we explore the value of using a common ‘language’ in our process modeling.